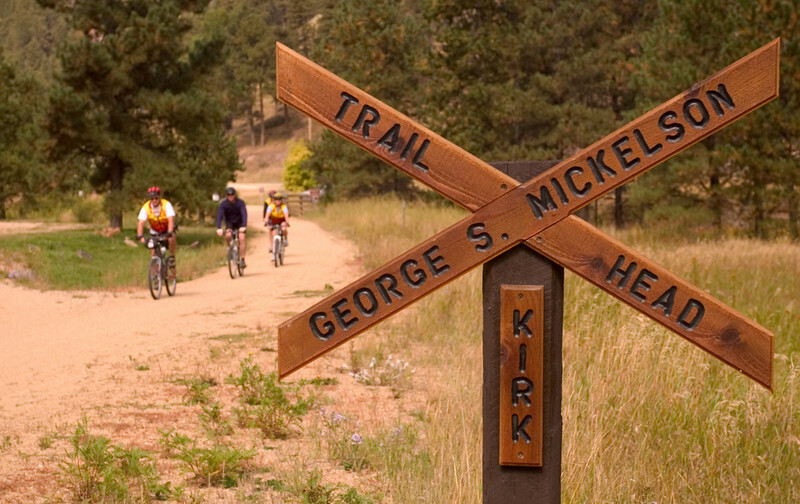 This 114-mile rail-trail, named in honor of former Governor Mickelson, passes through the heart of South Dakota's Black Hills. The trail's 100 converted railroad bridges and 4 rock tunnels accommodate hikers, horseback riders, bicyclists, an annual Mickelson Trail Bike Trek, cross-country skiers and along some portions of the trail, snowmobilers. Visitors and residents alike use the trail for travel between area towns. The $5.5 million project has received almost $2 million in TE funds, encouraged the opening of trail-related businesses, and spurred historic preservation in the towns the trail travels through. The trail runs from Deadwood, the town where Wild Bill Hickok was shot and killed, to Edgemont. Along the way, trail users experience the dense pine forests, rocky canyons, native prairie, high desert, twisting creeks, and numerous wildlife-spotting opportunities of the Wild West.